After listening to today's podcast, you're going to want to go check out the cry playlist we set up a while back, because we're all about the blues. Nicole in particular is lamenting her partially empty nest and resenting all the mom friends who never told her she was going to feel like this when her son moved out. We consider some other things that never seemed to have made it into the parenting manual -- could we have had a heads up about the way sending kids off to school doesn't mean you get your life back, maybe? -- and go on to formulate some advice of our own about motherhood, like "You're going to want sleep more than you'll want anything else" and "It is perfectly acceptable to ignore your mother's advice." Finally, we made our weekly recommendations of things worth checking out: Catherine liked a Cool Mom Tech list of organizational apps for back-to-school; Amanda appreciated Ellen Seidman's post on people staring at your child; Nicole thought the book Misconceptions: Truth, Lies, and the Unexpected on the Journey to Motherhood by Naomi Wolf tells it like it is; and Terri sugggested reading Robert Rummel-Hudson's post on the R Word, even though it's sad that we're still even talking about that. Thanks as always to Jon Morin for editing our episodes, and to Kristin Eredics for our happy in-and-out music (and for still living at home, so Nicole doesn't come completely unhinged). 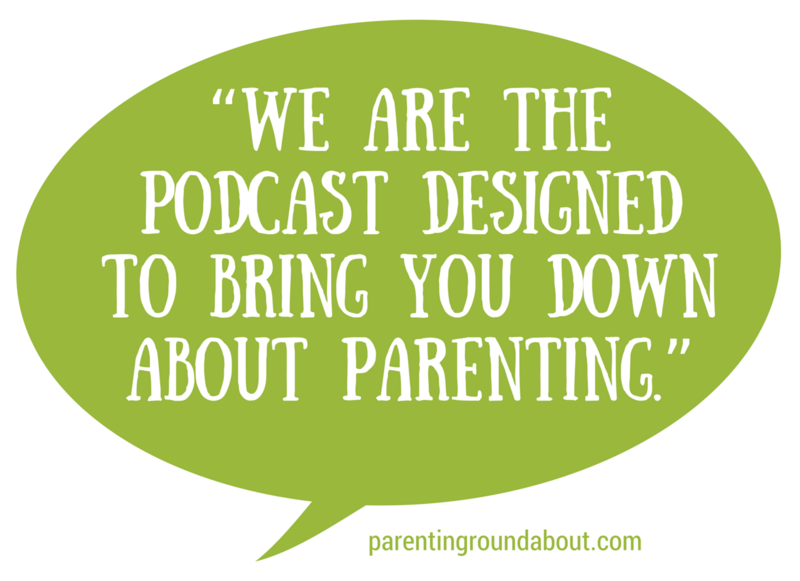 If you're reading this somewhere without hyperlinks, come to http://parentingroundabout.com for the full recap experience.